A Smart Headend is a compact, tightly integrated, software controlled device that generates AV channels compatible with TVs on a coax or IPTV network. Smart Headends are typically used in hotels, stadiums, schools, corporate offices and similar venues where multiple TVs are used. Smart Headends provide advanced software features and are easier to install and manage than traditional component connected headends. Build you own or choose from one of our preconfigure Smart Headend devices. The FlexStream MX-400 is the base model of all MX-400 smart headend systems. This device collects and creates TV programming from nearly any source and transforms that video into TV compatible channels. 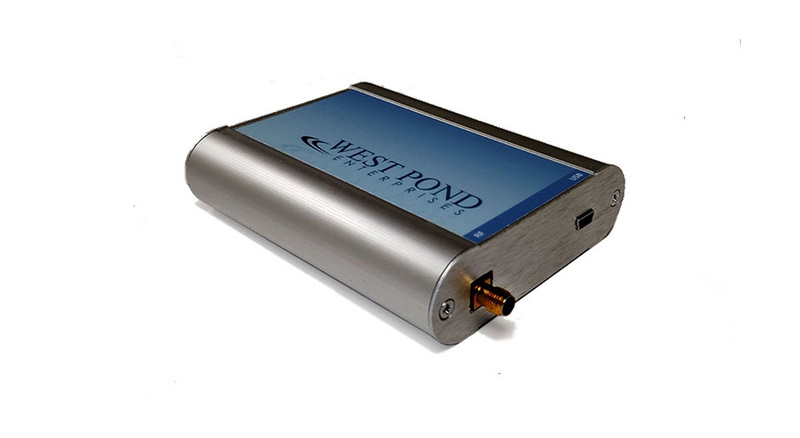 The MX-400TS is the West Pond broadcast quality multiplexer in its purest form. When purchased without any option modules this multi-input, multi-output TS multiplexer will process up to 500 Mb/s from IP sources and IP outputs. The MX-400CC was designed for anyone looking to add just a few channels to an existing in-house cable TV network. The MX-400CC is a scaled down version of the MX-400HY in that it supports all the same features just with fewer output channels. The MX-400 HY is designed for anyone looking to add channels to a new or existing in-house cable TV network in a hospitality establishment. The MX-400HY can take a wide variety of inputs such as security cameras, IP TV sources, streaming services as well as video from local storage and output it as a TV channel. This would include the option to provide digital signage on selected TVs throughout a facility. As more and more guests bring their own devices with streaming services the use of cable or satellite TV channels has declined, yet the subscription expenses continue to be a substantial monthly burden for hotels and medical facilities. Whether you are trying to reduce TV subscription fees or add value to your hotel or medical facility, the MX-400HY can get the job done. The MX-400ST complements existing in-house cable TV networks by merging HTML graphics with stadium video to create dynamic multimedia HDTV channels tunable by one or all stadium TVs. Stadiums TVs are quickly transformed from video monitors to dynamic multimedia displays containing game video, advertisements, game stats, time, temperature, raffle info, weather, traffic, social media photos, stadium alerts, and of course the game score and other score board information. The MX-100 hosts the MX-400 software in a compact, cost effective shelf-top package. It can be used to create TV channels on your in-house cable TV system, IPTV system, or directly to display via the HD video output. Commonly used in schools, churches and offices. The MX-100 creates continuous TV programming for IPTV networks, coax networks, and direct to TV displays. The MX-100CC is a low cost, all-in-one, turnkey TV channel creation and distribution device. It combines multiple streaming video sources, such as IP cameras, IPTV A/V, pre-recorded TS files, and captured/encoded HD into a single MPTS (multi-program transport stream) which is ready to view by one or all commercial and consumer TVs or IPTV set top boxes on your coax RF or IPTV network. The MX-100ATSC is a low cost, all-in-one, turnkey TV channel creation and distribution device without HD capture capabilities. 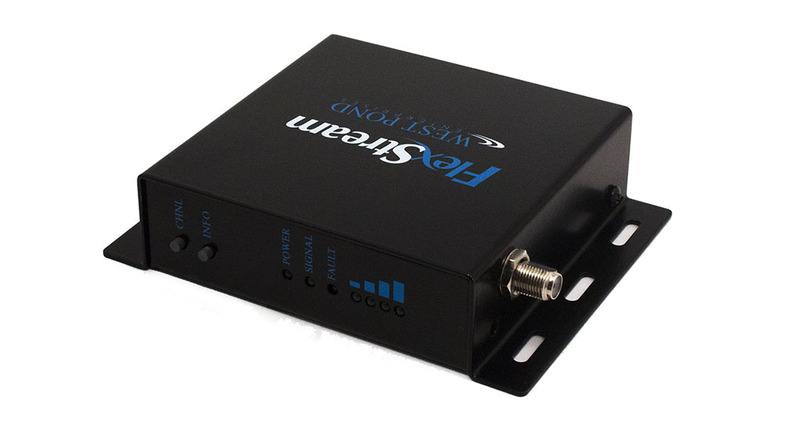 This device was designed for those applications that prefer the internal monitor tuner over HD capture. 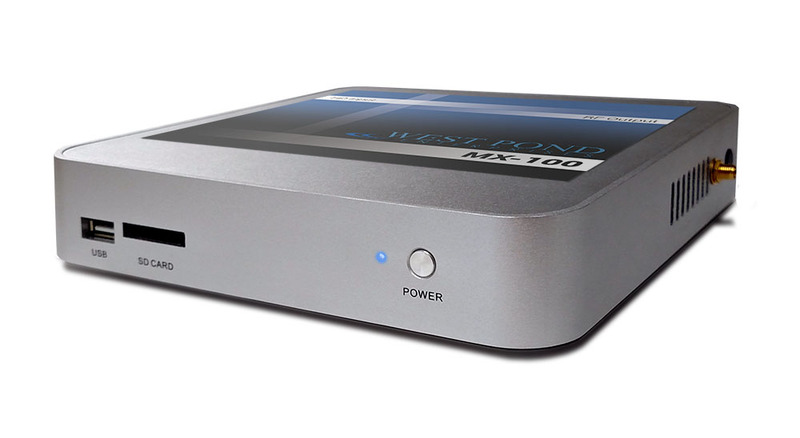 The MX-100IP is a low cost, all-in-one, turnkey TV channel creation and distribution device for IPTV networks. It combines multiple streaming video sources, such as IP cameras, IPTV A/V, pre-recorded TS files, and captured/encoded HD into a single MPTS (multi-program transport stream) which is ready to view by one or all commercial and consumer IPTVs or transmission over VPN to another IP processor such as the MX-400IO. Additional devices to work with your MX product. The FlexStream RX-WP100 receiver enables displays to receive and decode TV signals from FlexStream MX enabled transmissions. Use this receiver’s h.264 decoding capability to add more channels to your lineup, control the display state, or to alert viewers via public address messages. The RX-50 receiver provides display controls over coax networks. With the RX-50, working in conjunction with MX-400 smart headends, displays and other devices can be controlled via RS-232, IR, and HDMI-CEC protocols. 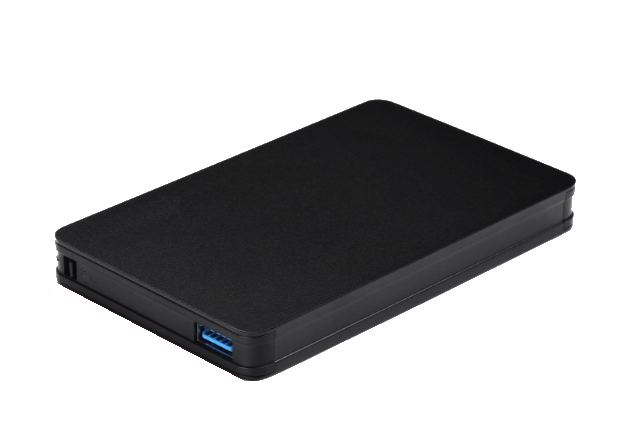 Increase the storage capacity of your FlexStream MX-400 or MX-100 with this USB 3.0 4 terabyte SSD. 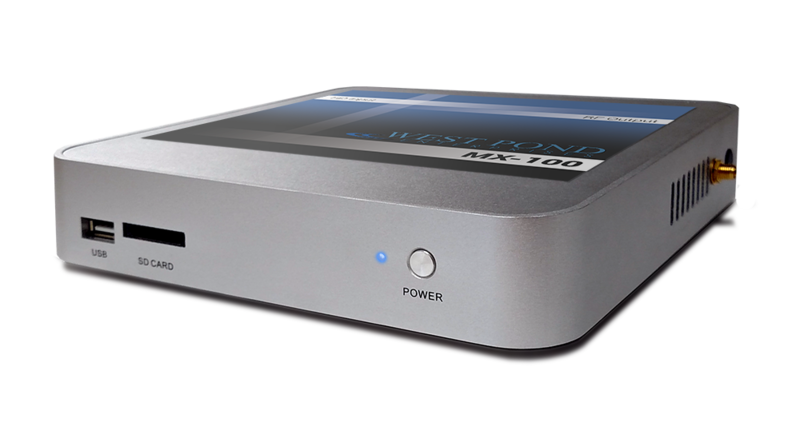 This drive extends the video server storage for applications that exceed the 30 gigabyte internal storage. The MD-1000 is a frequency agile, standards agile, single band modulator for use as an add-on component to the FlexStream MX-100 and MX-400 product lines. 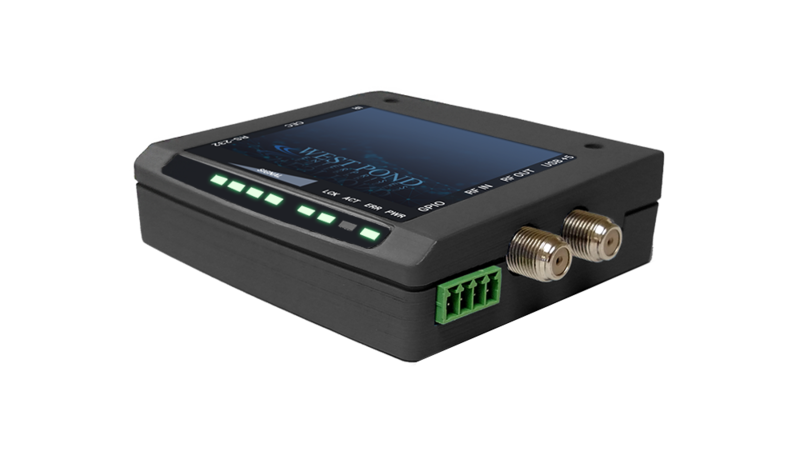 The MD-1000 receives its power, configuration, and transport stream via a high speed USB 2.0 connection and outputs a modulated RF signal for transmission via DVB-T, ATSC 8-VSB, ATSC US Cable QAM, or ISDB-T (full seg).